/ News / Why you should say “NO!” to grout and tile. 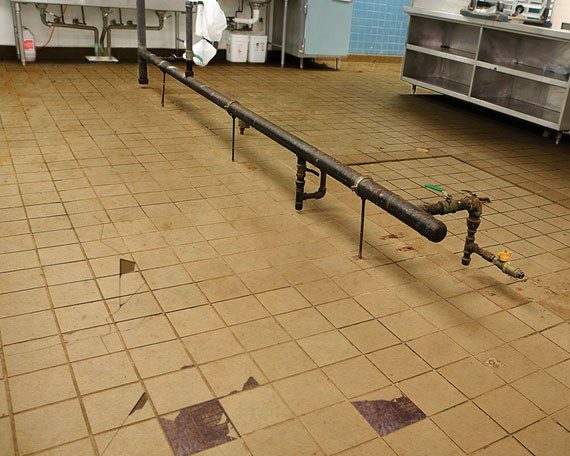 Quarry tile and grout is the most traditional flooring for commercial kitchens. Over time tile begins to crack or becomes damaged due to wear and tear. Grout is porous and accumulates bacteria over time. According to the most recent research, there is more bacteria in a square inch of tile in a commercial kitchen than on a square inch of a toilet seat. There are nine different types of bacteria that are found in grout and tile floors that can cause illness. Small dirt particles and bacteria get lodged in the pores of the grout. Tile can lock in odors from your shoes, drinks, and food. Over time, this leaves your tile smelling with an odor that can’t be removed unless it’s done professionally. No matter how much you clean the tile and grout it will still look dirty and worn down. The maintenance that is required for the upkeep of a tile and grout floor is expensive and time consuming. Over time, grout can break apart, leaving a crumbly mess that might also allow water to seep underneath and do some serious damage to your floor. Re-grouting is required to reseal and restore the appearance of tile and needs to be done at least every few years. 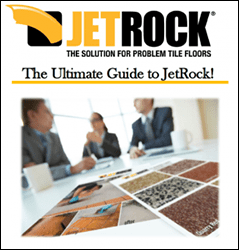 JetRock is a low maintence flooring solution to problem tile floors. Say goodbye to dealing with cracked tiles and bacteria filled grout. JetRock is a seamless, nonslip solution that deters buildup of dirt and bacteria. Cleaning is quick and simple, leaving your commercial kitchen sanitized and ready for food prep. 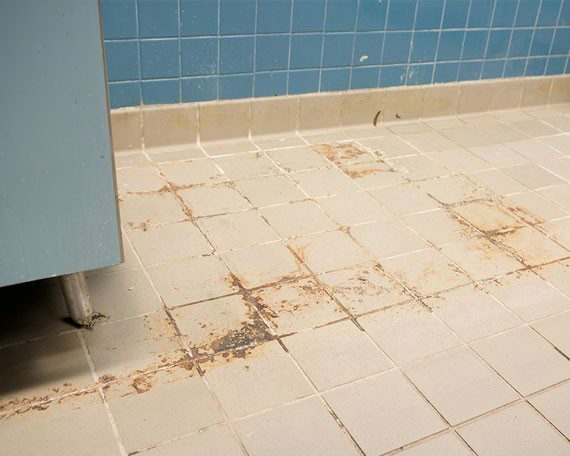 Don’t subject your business to bacteria filled grout and damaged tiles. JetRock is completely maintenance free and installed overnight. 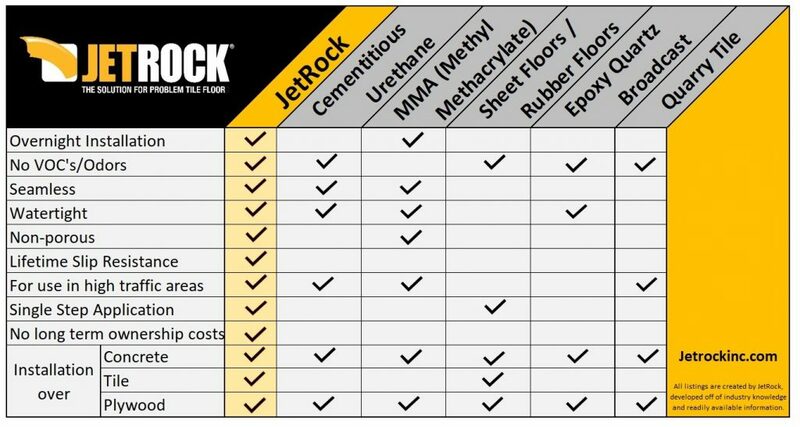 When compared to any other floor option, JetRock tops them all!